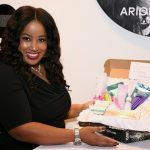 Today Mastercard and Bank of America announced Arion Long, CEO and Founder of Femly, as the winner of the second annual Grow Your Biz Contest, which invited small business owners across the country to pitch how they plan to take their business to the next level for the chance to win $25,000. Finalists received individual coaching from industry experts on how to grow faster and smarter. Small business owners were asked to submit a video online answering the question, “How do you plan to grow your small business?” Four finalists from across the U.S. were selected to take the stage and pitch their business in New York City at NeueHouse on November 8th. After a thoughtful deliberation, the panel of expert judges, including Create and Cultivate CEO Jaclyn Johnson, host of CNBC’s “Cleveland Hustles” Bonin Bough, Head of North America Small Business for Mastercard Ginger Siegel and Northeast Small Business Division executive for Bank of America Kevin Kelly, selected one grand prize winner, Femly. 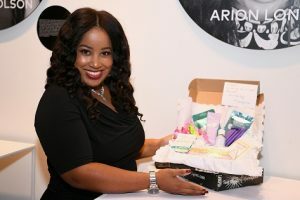 The Femly Box was started after Founder, Arion Long discovered the dangers of chemicals found in conventional care. She went on to suffer from a cervical tumor, and wanted to support women’s wellness all over the country and the globe. The natural feminine care subscription company ships monthly menstrual cycle care packages including 100% natural cotton pads, tampons, snacks and body care products and more. The Grow Your Biz Contest launched as a Boston focused initiative in 2017 and this year was expanded nationally, uncovering diverse businesses across the U.S., including the four selected finalists. Whether it was Femly’s monthly natural feminine subscription box, Kin’s flavorful ramen, Draft Texas’ specialized draft beverage trailer or Cheeky Monkey’s joyful home accessories, each finalist showcased their unique business and passion to grow smart. To learn more, you can watch the “Grow Your Biz Contest” finalist videos here. Mastercard and Bank of America want to ensure that small business owners across the U.S. have access to the insight, supports and solutions to help them achieve their growth ambitions. The Grow Your Biz Contest is just one program, equipping driven small business owners with the right resources and guidance to take their business to the next level.